First pick is from Droid Bishop chosen by Vince from TimeSlave Recordings. Founded by two brothers the UK label focuses on producing the best of the retrowave/synthwave sound. 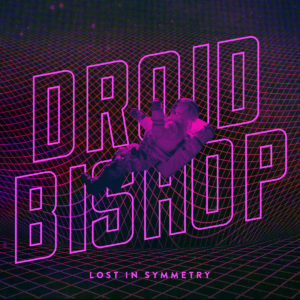 One of the legends of the Synthwave scene, Droid Bishop’s early influences included Trance, Mylo, Aphex Twin, and Royksopp, and these influences can be heard throughout his work. This is the first vinyl release for his seminal album Lost in Symmetry – an enjoyable 40 minute explosion of 80s drums and twinkling synths with a progression that brings to mind an interstellar journey. Reach for the aviators and get ready. 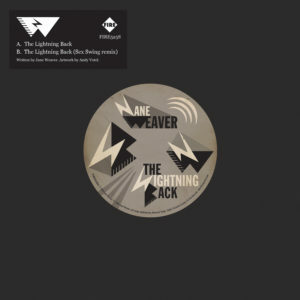 Bringing us back down to earth is Alison’s pick – singer/songwriter Jane Weaver’s latest 7″ – ‘The Lightning Back’. Jane is one of those artists who give all aspiring musicians hope having spent 22 years and eight albums on the margins before achieving recognition through good old word-of-mouth. Now with her latest album being lauded by pundits and a tour with Public Service Broadcasting the next stop can only be interstellar for Jane.